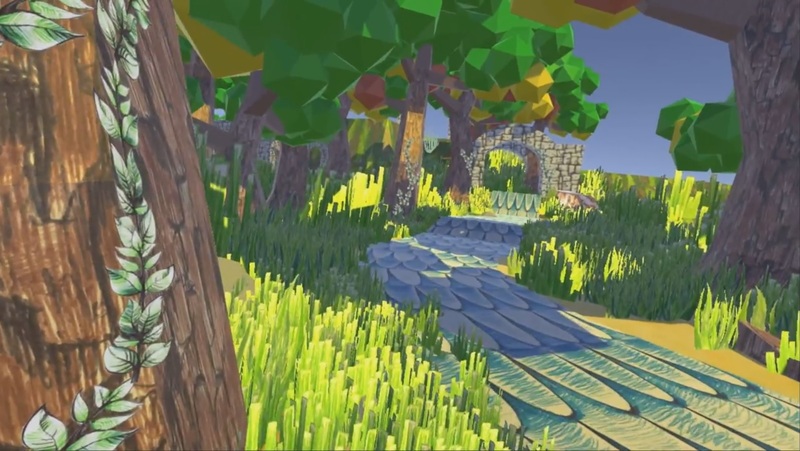 Indie developer Zocklabs is hard at work on a new project titled “Riverside”. We can’t say that we know much about it, but the game seems to emphasize creating textures to change the world. Riverside is planned for both NX and Oculus Rift. Rocket League has been a bit hit on multiple platforms since its release last year. However, it’s yet to grace any Nintendo console. 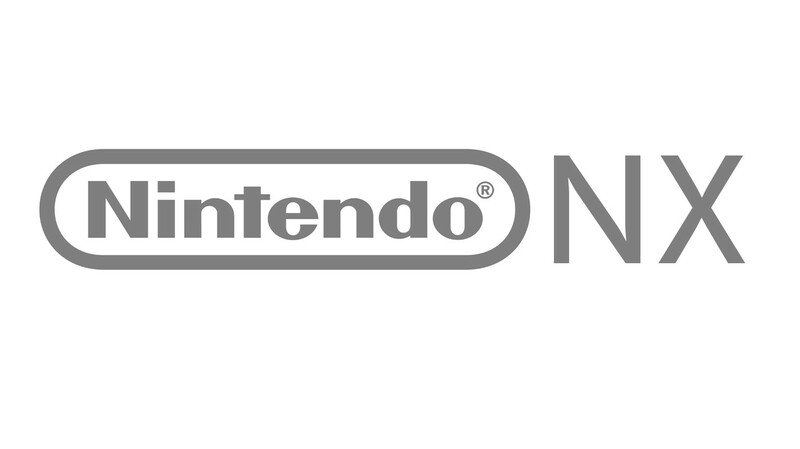 Wii U is probably out of the question at this point, but NX could be a possibility. Well, the answer to that would be identical to whether or not we would support a hypothetical PS4K. It is certainly something we would consider. 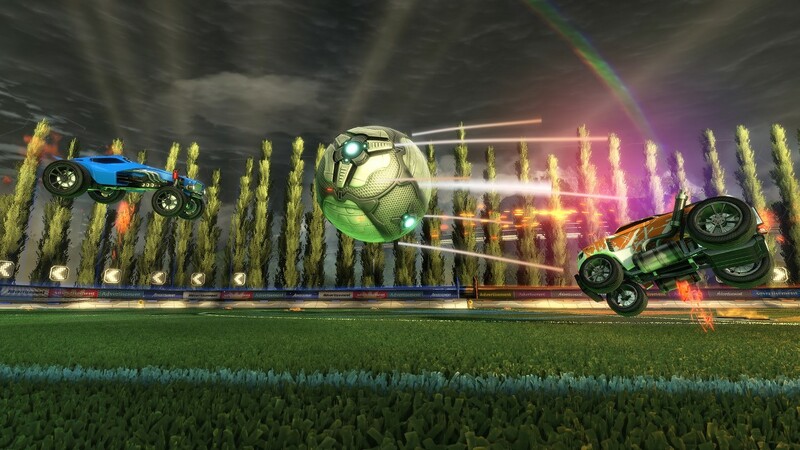 We consider all platforms, and whether or not they would make sense for Rocket League, whether or not they fit our timelines, whether or not we can afford to make our games on them. Every new brand new platform you work on, that is development time you take away from adding features to the existing versions of the game, for a version that the public isn’t even playing yet. So these are all considerations we have to make when we bring up new platforms. But the answer to whether or not we would do it is identical to the hypothetical PS4K- and that is, could we do it? Should we do it? And does the community want us to do it? Those are all things we have to consider, and if the answers are positive, then we would. Now whether or not it would have cross platform multiplayer, our goal for any version of Rocket League going in is to make it cross network, no matter where you are. So really, it would be a matter of understanding our limitations, what they might or might not be in that situation. So in general we would always try to make it work- whether or not we would in this case would depend on whether or not we develop for the platform in the first place, and then whether or not it would be possible. Thanks to the Jake for the tip. At this point, there are definitely companies out there who have NX dev kits. There are some others though who still haven’t heard much from Nintendo. Big John Games was close to ending development on video games last summer. But thanks to the success of Cube Creator 3D – notably in Japan – the company is now on the rebound. It’s the eighth best-selling 3DS eShop title in Japan, and it sold ten times as many copies as it had in America. 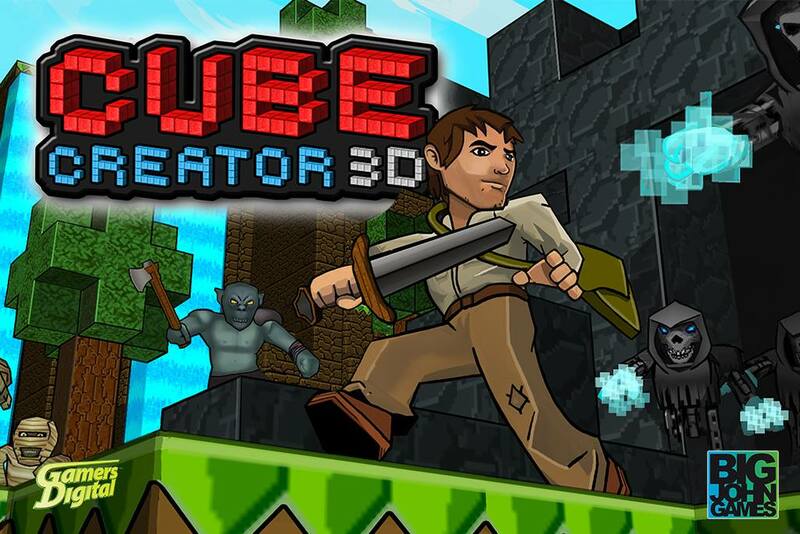 Thanks to Cube Creator 3D, Big John Games is now able to fund its own projects. The studio is starting out with “Racer Creator” which seems like it will end up on 3DS as well. Interestingly, Big John Games and Arc System Works – who published Cube Creator 3D in Japan – were invited to a meeting with Nintendo to talk about upcoming projects/partnerships. Big John Games may end up receiving early access to NX as a result. While they wait on a development kit, the company is still working on 3DS, so it’d make sense for Racer Creator to be on that platform. 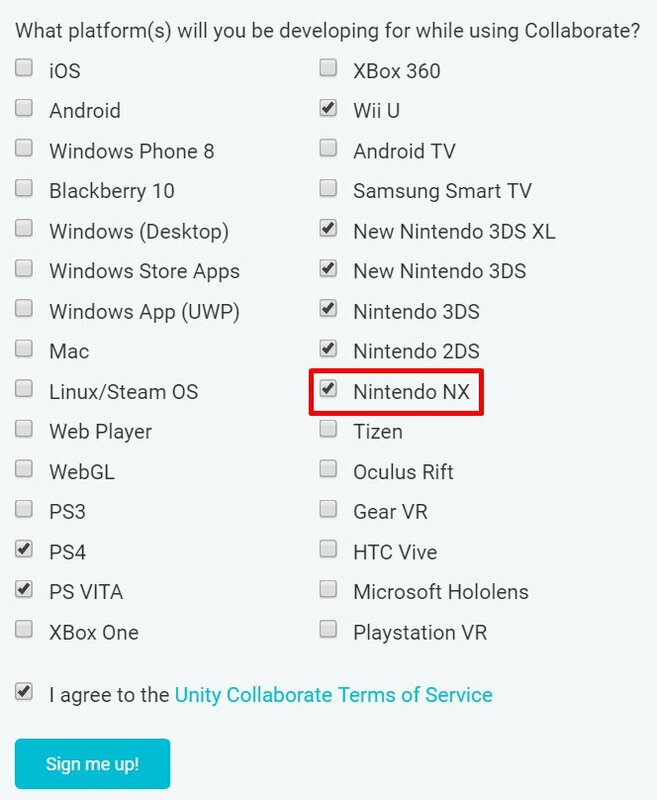 Over on the Unity Collaborate beta signup page, visitors have noticed that NX is included as one of the available platforms. It doesn’t confirm the engine’s support for Nintendo’s new console explicitly, but it is very likely. Wii U and New 3DS both feature Unity support. The same goes for standard 3DS systems, though to a lesser extent. IronFall Invasion developer VD-Dev has announced its next project. This winter, the studio will be launching “RISE: Race The Future”. RISE: Race The Future is a racing game set in a near future where a new kind of wheel technology will let you race on all type of terrains and especially on water. The racing style is arcade oriented and based on mastering extreme drifts. One of the clear inspiration is Sega Rally. In addition to the arcade mode, a history mode will allow the player to unlock the futuristic cars exclusively designed for the game. Throughout the progression the enigmatic sci-fi scenario will also reveal the real purpose of RISE: Race The Future. 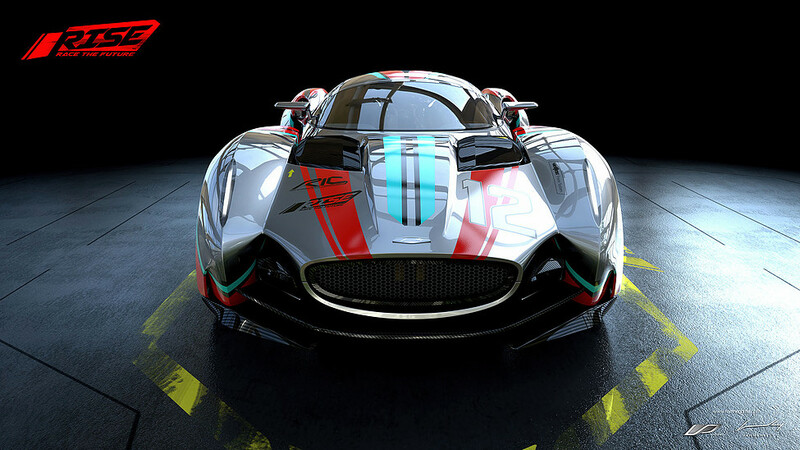 VD-Dev is working with professional automotive designer Anthony Jannarelly on RISE: Race The Future. Jannarelly penned a couple of supercars for W Motors: the Lykan Hypersport and the Fenyr Supersport. He’s also produced the “curvy retrofuturistic roadster named Design-1 whose evolutions will appear in RISE: Race the future”. A teaser trailer for RISE: Race The Future can be found below. The game will be released in Winter 2016 on Wii U and 3DS, though an NX version can also be expected next year. Yesterday, GameStop held its quarterly financial conference call. Executive VP of business strategy Mike Hogan actually weighed in a bit on NX, and spoke about the potential sales the console could see in its first couple of years in comparison to Wii U and Wii. Nintendo has confirmed that they will be introducing a new console in early 2017. So let’s take a look at the potential for just that one new console. Once again, we’re not projecting. We are simply looking at the potential for the new console in comparison to prior consoles. 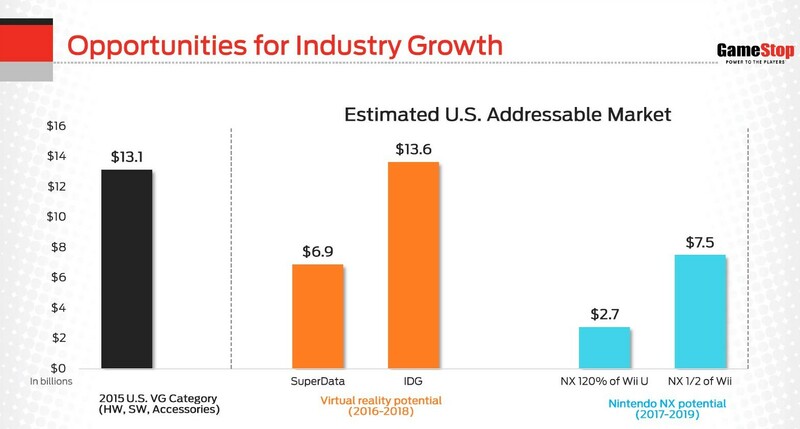 Should the new NX perform only slightly better than the Wii U, it would generate 2.7 billion dollars in incremental sales over the first two years. Should it perform at even half of the level of the Wii, it would generate 7.5 billion units of incremental sales over that time frame. You can of course apply GameStop’s market share to estimate the impact on GameStop’s sales. While it’s too early to offer definitive projections, we are monitoring the situation closely in terms of product availability and features, consumer awareness and purchase intent. We plan to provide updates this quarter. Nintendo first made the NX known last year. Little information has been shared about the system since, though we do know it’s due out in March 2017. Everyone is anxiously awaiting to see what Nintendo has in store because of the lack of details surrounding the system – including many developers. GamesTM spoke with a few indies in its latest issue for a chat about the NX. The magazine caught up with Black Forest Games co-founder Adrian Goersch, DrinkBox co-founder and CEO Graham Smith, CTO Rebellion co-founder Chris Kingsley, and Zen Studios VP of publishing Mel Kirk. A few hours ago, we posted some tidbits from a new Asahi interview with Nintendo president Tatsumi Kimishima about the company’s movie plans. The outlet’s complete interview has now been translated in full. 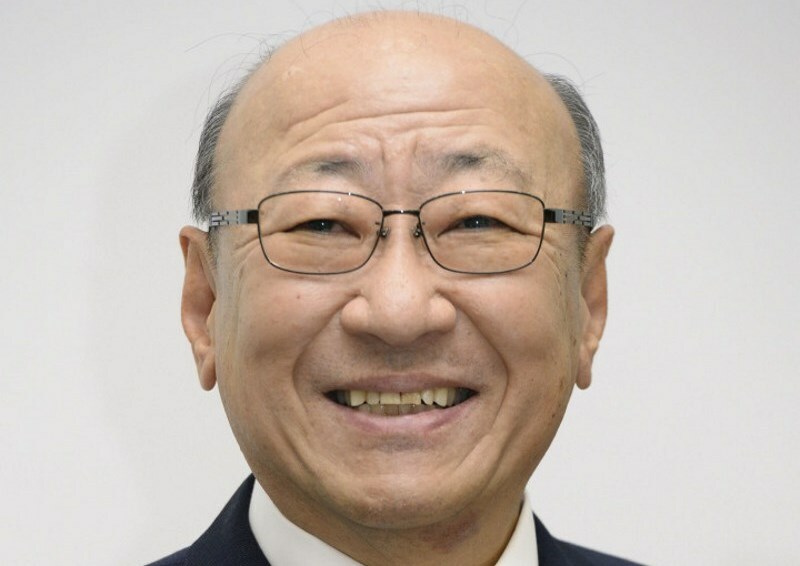 We have Kimishima’s complete comments on movies, plus remarks about mobile and NX. Continue on below for the translation, courtesy of GSR. -You’re currently working to invest your IP in new fields. In April Nintendo sold its stake in the Seattle Mariners; are you putting the income from that to use? The most common meaning is films, but there’s a variety of opportunities such as video content. We’re currently talking with a number of partners, and I think we’ll be able to finalize something in the not-too-distant future. What we’ve heard thus far about NX – both officially and unofficially – has been about Nintendo’s upcoming console plans. But yesterday, prominent technology news site SemiAccurate published a report with claims pertaining to an NX handheld. A subscription is required to read SemiAccurate’s full piece. However, we do have a couple of tidbits from the article. It’s new console time again and SemiAccurate brings you news of Nintendo’s NX silicon. If you recall our past guesses were pretty spot on and this time should be the same. You might also recall we made some pretty surprising calls on the console silicon front too, and this one will probably make most of you pick your jaw off the floor. SemiAccurate goes on to say that the Tegra chip is being implemented in the NX handheld. After losing out on gaming contracts this generation, the Nvidia team was told to secure a console win or “go home.” Nintendo apparently made off well, which has SemiAccurate questioning if this is actually “win” at all for Nvidia. In fact, Nvidia is rumored to be taking a loss with the Nintendo deal after support, software, etc. It goes without saying, but always take these reports and speculation with a grain of salt.